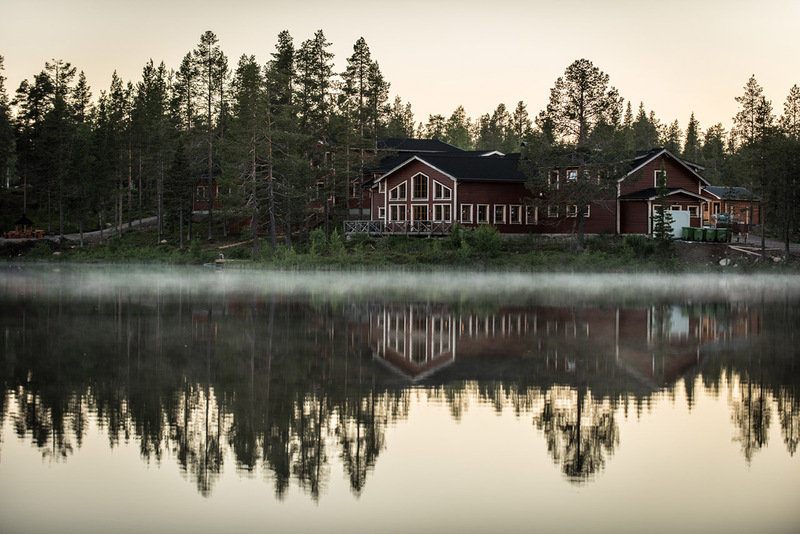 There are many ways to experience Heart of Lapland. Pack your swimming trunks, bring your sunglasses and refuel your car. The landscape and its roads treats you to culinary traditions and stunning destinations. The road from Seskarö to the mainland, or the other way around, is sometimes referred to as “Key West of the North”. This is because it resembles the classic passage between the islands in Florida. But let’s not exaggerate, and the road to Seskarö really does deserve its own name. I take this road a day in July after having spent some time by the seaside, enjoying the sea, the sunshine and an ice cream. It’s summer after all. 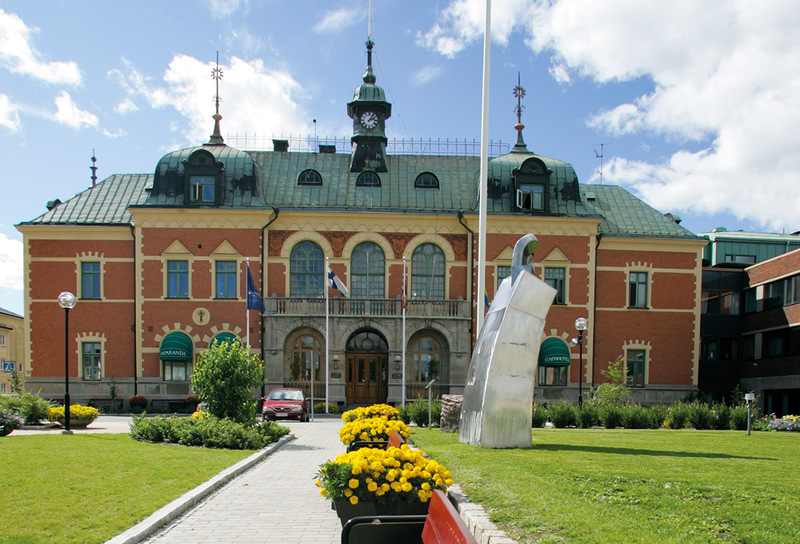 The goal for the night is Haparanda, its city hotel has always had some sort of appeal to me. A strange memory of the time when Haparanda was the centre of world politics. Lenin passed through 17 April 1917. He didn’t stop at the hotel, but he did pass through Haparanda on his way home where he started a revolution. A hundred years ago the Torne River constituted the border between the Tsar’s Russia and the Western world. An article from The Times states that about 200 of Haparanda’s 600 inhabitants back then were employed as spies. A mixed bag. Melting pot of world politics and the Wild West at the same time. 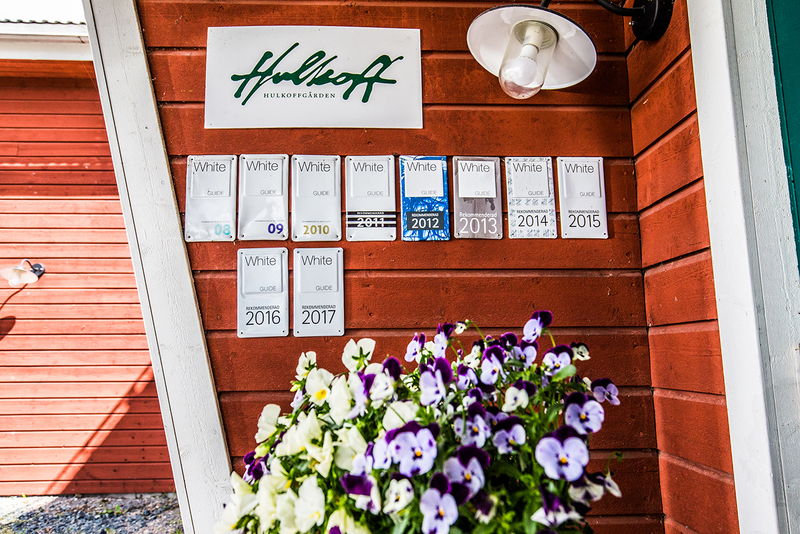 Haparanda Stadshotell, with its long history, is located a stone’s throw from the Finnish border. Today the locals live with one foot in each country and most of them are trilingual and speak Swedish, Finnish and the minority language Meänkieli. I eat grilled entrecote on the Haparanda Stadshotell porch. Why make things more complicated than they need to be? 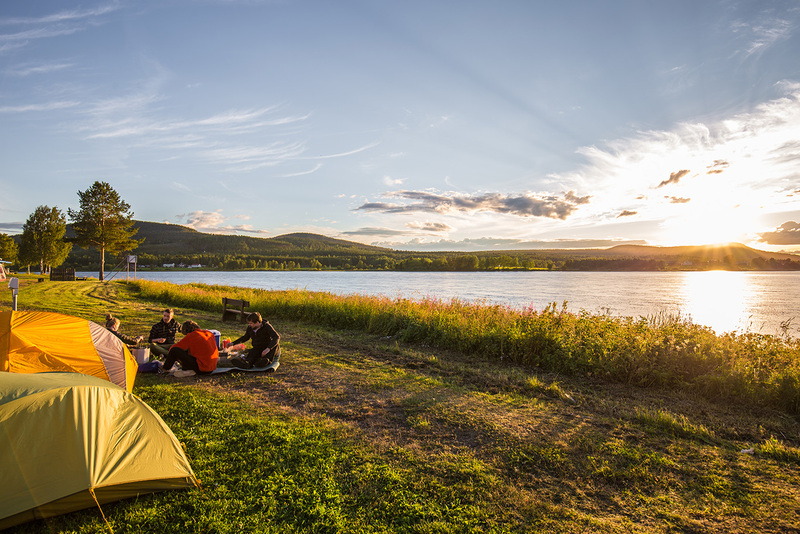 The summer night is warm and beautiful, and after dinner I go for a walk across the Torne River to Finland. I’m using the church tower as a landmark. By the time I reach Tornio I have lost one hour. This reminds me that in this place – known as the world’s most peaceful border – you’re able to celebrate New Years properly every year. Simply start off in Finland and then make your way across the bridge to Haparanda where you can continue the celebrations. But I don’t have any such ambitions. I’m continuing my journey tomorrow. I head back over the bridge and gain an hour’s extra sleep. Tomorrow we’ll see where the road takes me. But one thing I do know. I have booked accommodation at Arthotel in Risudden, a favourite of mine. After a late breakfast I leave Haparanda. A road trip isn’t really something you should plan. If you’ve decided on a final destination, it’s hardly a road trip but just a trip from a to b.
I choose to drive along Road 99 for a while before I turn south again towards Kalix on Road 398. There I can find Kalix cheese, which could make for a tasty evening snack. Afterwards I make my way along the Kalix River to Vippabacken’s traditional café by Road E10. I opt for a salmon sandwich and a coffee. It’s time for a light snack anyway before I take the road through Liehettäjä down to Luppioberget, where my next coffee break takes place. I enjoy sitting on the mountain, watching the Torne River flowing slowly below me. When the evening comes I go to Arthotel in Risudden. 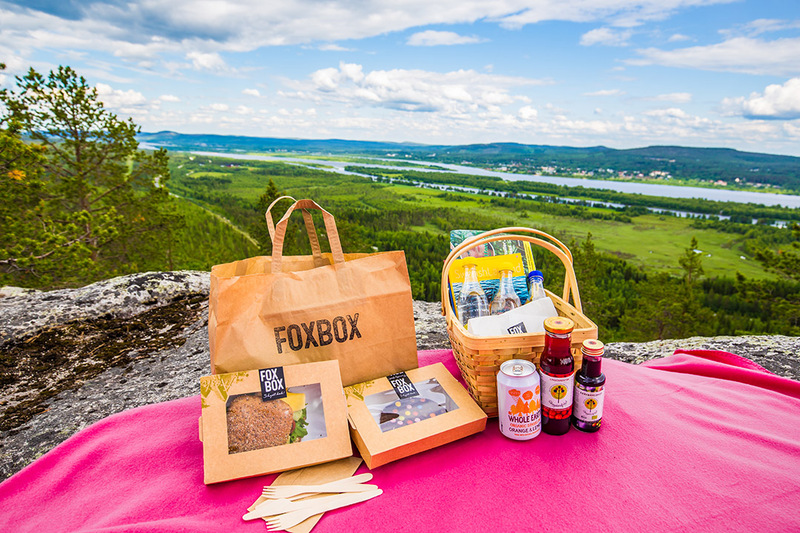 I’ve rented a house there, and in the shop in Övertorneå I’ve bought ingredients for a simple mixed salad and some reindeer meat from Tornedalens Renprodukter. I lit the grill outside the house and have time to run down to the river for a swim while the coal is heated. When I get back it’s time to open a beer from Tjer’s Brewery and put the meat on the grill. Why make things more complicated than they need to be? 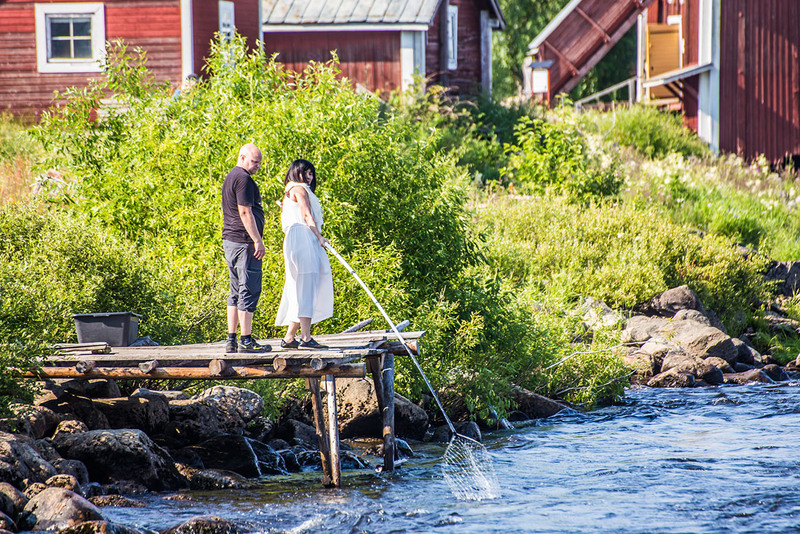 Fishing whitefish with a bag net and visiting the sauna museum in Kukkolaforsen, as well as visiting adjacent Hulkoffgården, make for perfect day trips from Arthotel in Risudden. The hope is that Konsthall Tornedalen (an arts centre) will be finished soon and become a world class attraction. I’ve also got time to drive past Armasjärvi, the lake which tells history buffs a story about young people’s deaths during the Second World War. From there I once again make my way to Luppioberget’s café. It’s nice to be able to recharge my batteries. But I don’t really feel like doing anything else than driving around. I drive to the Finnish side and buy some potato loaf. I’m planning to enjoy an evening meal of extra salted butter, a small snaps and some charcuteries. Tomorrow I head west again. The farm has been in the Hulkoff family’s possession for 300 years. In the old barn there is a restaurant with brick floors, white walls and rustic wooden beams. In the airy loft you might be surprised to see an upscale clothing shop with brands like Armani and Barbour in Butiken på Landet. Photo: Linnéa Isaksson. It’s hard to know what makes a place this special. 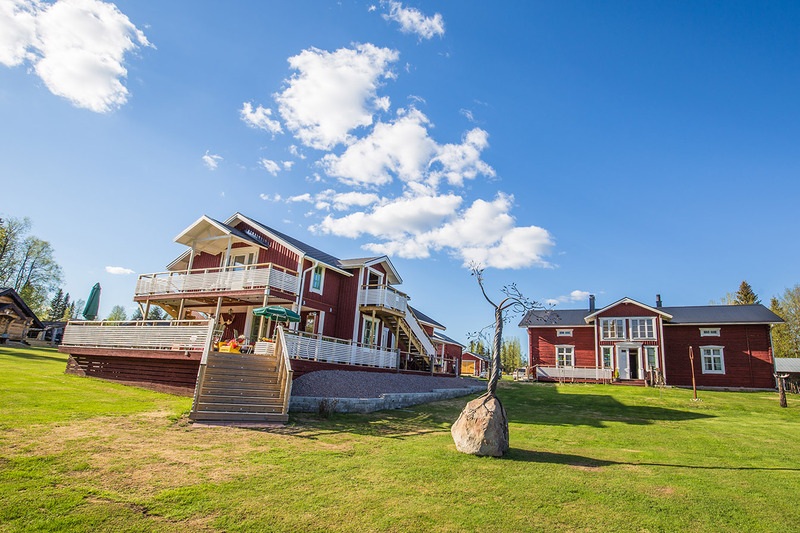 If you come to see Johan Stenevad at Lapland Guesthouse in Kangosfors it might be the notion that everything is so different, that no room is the same, which gives you this special feeling. The fact that everything in the guesthouse is for sale is indeed a bit strange. But on the other hand, if you continue straight ahead for four kilometres beyond the road sign which says “End of Public Road” and end up in Särkimukka at Pinetree Lodge, a hotel complex with 60 rooms, in a village where there are more draught dogs than people, an hotel with three own beers, you would get this special feeling as well. 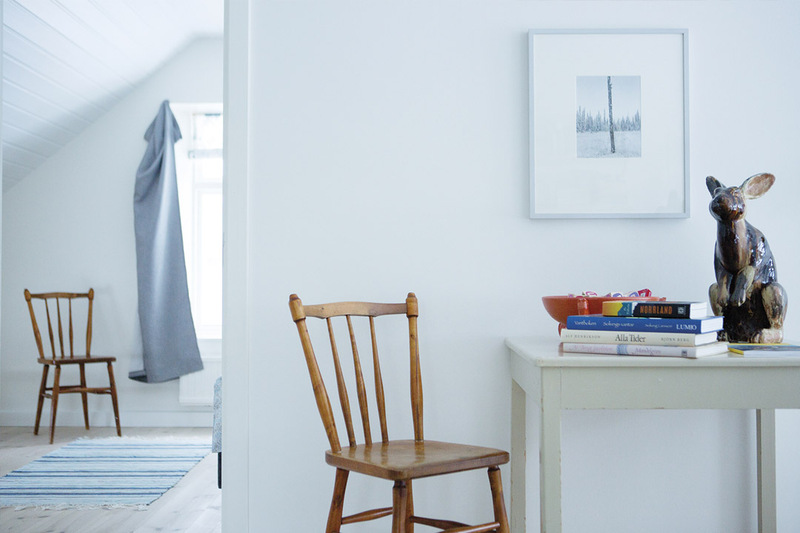 At Lapland Guesthouse, the guests encounter a friendly, personal atmosphere where design and nature play an important role in the interior design. Photo: Linnéa Isaksson. When I arrived to in Kangosfors and Lapland Guesthouse in the afternoon, I found that the place was fully booked . So I continue to Pinetree Lodge. They have vacant rooms and I enjoy a Särkimukka lager on the porch. It’s alright. 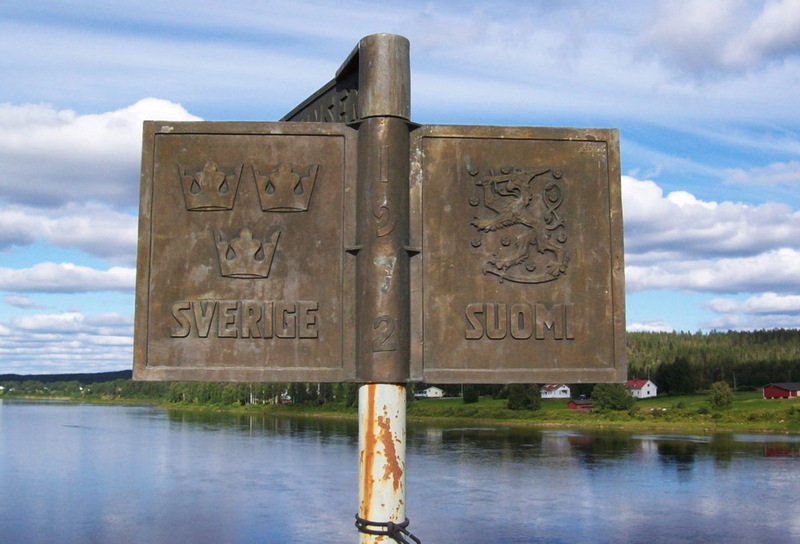 Tomorrow I will drive along the Tärendö River, one of Sweden’s two bifurcations. Depending on when I start my journey I’m hoping to arrive in Jockfall around lunchtime. I’ve always had a thing for their “Jockfallare”, a delicious sandwich which comes with either sautéed reindeer or fried salmon. But since a road trip has no finalised plans we’ll see what happens. Sooner or later I’ll arrive somewhere. And who knows, maybe I’ll find other tasty things along the way. Or the perfect spot for a swim.